The Fremont Recpath was approved last week. It will take bikers and pedestrians from Copper Mountain to Fremont Pass where it will connect with the Mineral Trail into Leadville. With the help from the U.S. Department of Transportation in the form of $4 million dollars, this project is expected to be completed around 2021. The Federal government will be spearheading the Fremont Recpath project with the help of the Federal Lands Access Program grant. It will include a paved path separate from the road and an overpass over a section of State Highway 91. The pathway will be built entirely by federal construction crews over the next three or four years. The total construction cost of the Fremont Recpath project is estimated at about $5.35 million. Summit county will help cover the rest of the cost by shelling out $1.33 million from its own pocket toward the project. It is anticipated that a portion of the money will be paid for with open space and trail reserves. The county will attempt to offset some of that expense from other state sources. The Freemont Recpath will be separate from the road and will provide a much safer experience for non-motorized vehicles and pedestrians traveling on the pass. A section in the road dubbed ‘The Narrows’ is a very dangerous 3-mile stretch of highway on Fremont Pass near the Climax mine and it was one of the biggest considerations by Gov. John Hickenlooper when moving forward on this project. It is part of his 16 high-priority trail gap projects for 2016. Summit County hopes to secure a special-use permit for the designated land in 2018 and finalize the design work of the Fremont Recpath in 2019. Once the design work is finished, they hope to settle the contracts and begin construction in the summer of 2020. Depending on how quickly the National Environmental Policy Act review process goes will determine how quickly the project will be wrapped up. It is hopeful it will be completed by the end of the 2020 or early 2021. Two main priorities of the Fremont Recpath project are to protect the habitat of the electronic-collared lynx and preserve wetlands in the area. The county says it intends to make improvements to the area rather than diminish these ecological features. The hope is to strike a balance between the project’s recreational opportunities, safety and environmental benefits. To have a paved pathway around the entire county and connecting the system into Lake County at the Mineral Trail into Leadville will make for a safer, enjoyable experience for recpath users. 11,318-foot (3,450 meters)mountain pass in the Rocky Mountains of central Colorado. It forms the continental divide on the border between Lake County and Summit County. 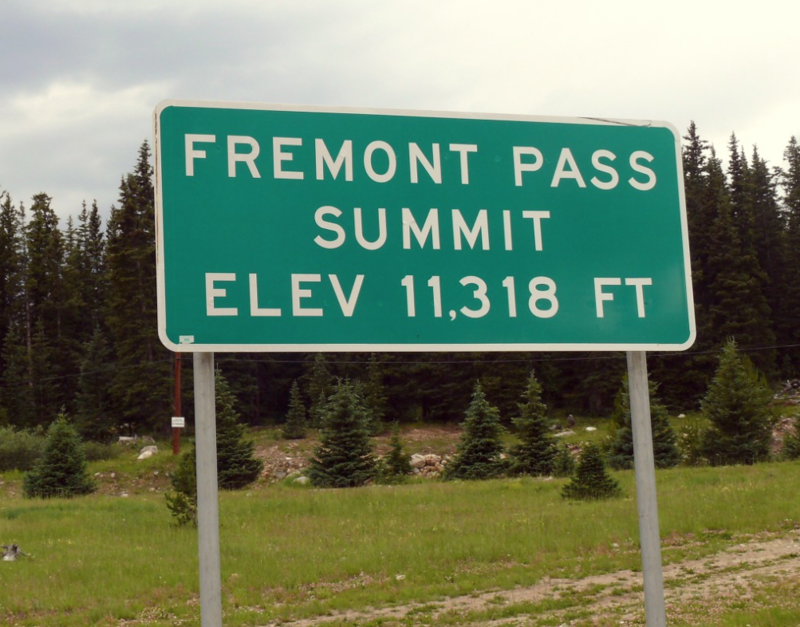 The pass is named after John C. Frémont, an explorer of the American West who discovered the pass while traversing Colorado during the 1840’s. The pass provides a route between the upper valley of the Blue River, a tributary of the Colorado River, with the headwaters of the Arkansas River to the south.